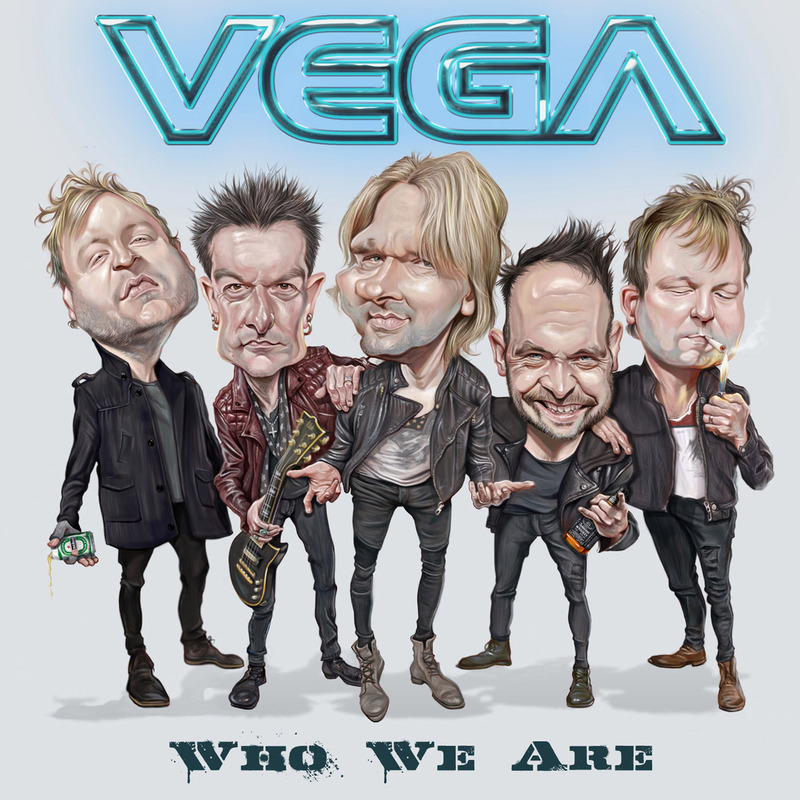 May 13th sees the release of Vega’s fourth album entitled “Who We Are’’, and, looking at the cover they really couldn’t give a toss about what people think about them – with booze, fags, and not exactly flattering caricatures adorning the cover. And that’s Vega for you! They’ve courted discussion, last years Memorex-gate dig at HEAT for using tapes’ and also been (and still are) at the forefront of European and World AOR, with the Martin’s writing not only for Vega but also a lot of other bands, and they will always give you a great opinion on their own music and direction. I think Vega have a formulae, which is ‘every song an anthem’, and this mantra has certainly seen them through the last three albums, and has woven its way into ‘WWA’. ‘Explode’ is Vega’s Ronseal opener. Its part ‘Waiting For The Big One’ 80s MTV for the masses with a modern Vega ‘twist’, and Workman has never sounded better. ‘We Got It All’ is certainly an autobiographical mission statement for Vega, and is certainly powerful. ‘Every Little Monster’ is going for the ‘every song exceeds the last’ approach and is as catchy as Joe Pasquale’s ‘I know a song that’ll get on your nerves’, its an instant implant. So far it’s melody, melody, melody, all the way. With ‘Nothing Is Forever’ we hit a ballad that could be a contender for Eurovision. White Flag’ is Vega’s first single from WWA, and have a video to accompany it. It’s the no brainer choice – power, melody, groove, andAORsomeness. ‘Generation Now’ has a more menacing opening, and huge chorus. You could get bored typing ‘huge chorus’ constantly but that’s what we continuously have here. Where bands may put fillers towards the back end, not Vega, If anything two of their strongest come back to back in ‘Ignite’, and ‘Saving Grace’, with the latter sounding a bit Diving For Pearls-like and for me is the best song on the album. Vega have done themselves proud here. As ‘Who We Are’ will be on many a fan’s Top 10 lists of 2016, for certain. So, is ‘Who We Are’ better than their debut? I think so. The only thing stopping Vega is themselves. For me, FM have always been the pinnacle of British melodic rock, but now the younger generation are hard on their tails…..and about to overtake!